Mozilla announced the five projects in Kansas City and three projects in Chattanooga that will receive funds from the first round of the Gigabit Community Fund. Grantees across the two cities will receive a total of $134,600 for a 12-week pilot period beginning Monday. The Fund, supported by NSF and part of the broader US Ignite initiative, is investing in organizations and projects that utilize gigabit technology to serve educational systems, support educators in and out of the classroom, and impact student learning. Grantees will utilize the awarded funds to build and pilot gigabit-enabled applications and associated curricula that have immediate, measurable impact on classrooms and informal learning organizations in Chattanooga and Kansas City. Through these pilot projects, Chattanooga and Kansas City will become living laboratories in which to study how these next-generation networks can impact education and workforce development. Remote Audio Mixing / Chattanooga Music Resource Center–for a collaborative, cloud-based music education app to be piloted with the Chattanooga Public Library and with Barger Academy of Fine Arts, a local public elementary school. Hyperlocal Hyperaudio / Hyperaudio–for a content remixing curriculum that uses locally produced content from partners including the Chattanooga Public Library, the Hunter Museum of American Art, the Public Education Foundation, and the Chattanooga History Center. Viditor / GeonCode–to pilot the launch of a new online video editor with digital art and design classes at Baylor School and at the Chattanooga Public Library’s teen center. To learn more about these projects – click here. 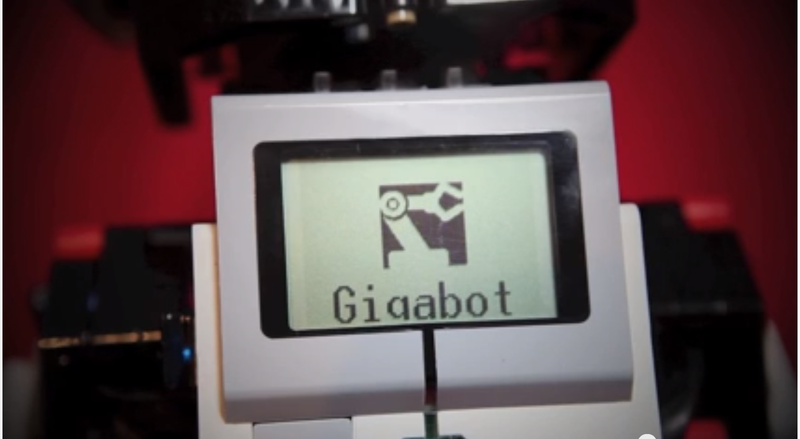 Gigabots / Big Bang–to bring connected devices to robotics and into classrooms to teach kids how to share innovation in collaborative ways. 3D Multi-School Learning / aSTEAM Village–to utilize next gen telepresence technology to teach computer programming and video game design to students in a multi-school setting. Project Bright Spots / The Lean Lab–to use the gig as a collaboration tool, by enabling community dialogue around specific experiences that highlight local innovation in education. Augmented Reality / Bonner Springs Fire Dept.–for a specialized training system that equips first response trainees with Google Glass to share live video and real-time information during training and simulation scenarios. Gigabit Cafe / Reconciliation Services–to deploy the first public test of the “Software Lending Library” to bring gigabit internet connectivity to Reconciliation Services’ clients and neighbors. These 12-week pilot programs will run from April 28 to July 18. The application period for the next round of Gigabit Community Fund grants begins on May 12, for projects that will run from July 7 to September 26. Grantees of the Gigabit Community Fund will also become founding members of Gigabit Hive Learning Communities in both cities. These local communities of practice will function as “living laboratories,” working and learning together around community-driven goals. They also join a growing global Hive network that includes New York City, Chicago, Pittsburgh, Toronto among others. Members of the Gigabit Hive Learning Communities will participate in regular meet-ups and online forums, and through an openly networked approach, will share their planning, progress, lessons learned and best practices throughout and following the initial pilot period. Attend the US Ignite Application Summit in Silicon Valley June 24-27to see demonstrations of several of these applications. Learn more about how to start a Hive Learning Community in your city.